Computer Port is locally owned and independent. Unlike the "big guys" in the business, we don't look at our clients as numbers on a spreadsheet. We're your friends and neighbors. We live here, we like it here, and we're here to stay. But that doesn't mean we can't offer you the highest quality service available: We have more than 40 years of combined experience in information technology, and we're ready and able to solve even the most thorny technology problems. Whether you're a business, a home user, or something in-between, we offer a wide variety of custom-tailored technology services to assure that your computers are one less headache you have to worry about. Does your computer seem sluggish but you don't know why? Bring it to us! We'll check it out for free and make some suggestions on how to pep it up. Not sure if your old machine is worth fixing? Bring it in and we'll give you an honest, professional opinion. We're a local company catering to local people, so we aren't saddled with millions of dollars of advertising expenses every month. Our prices are among the best in the industry, and we stand behind the work we do. Our office is located at 189 Main Street, right in the heart of town. Why drive out-of-town to get what you can get right here in Port? So no matter what your technology needs, give us a call. We're always happy to talk to a neighbor, and we're ready to provide you with the finest-quality information technology services available anywhere. Thanks for visiting. We hope to see you soon! 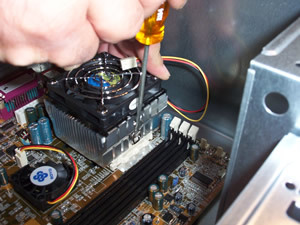 Computer Port provides high-quality computer and laptop repairs and onsite information technology services in the Port Washington, NY area, including Port Washington, Baxter Estates, Sands Point, Flower Hill, Manhasset, Munsey Park, Manorhaven, Great Neck, and Roslyn. Site designed and hosted by RJM Web Design. Copyright © 2007, 2013, 2019 Computer Port, Inc. All rights reserved.